Speed hunters rejoice, since you have found the Danner High Ground. 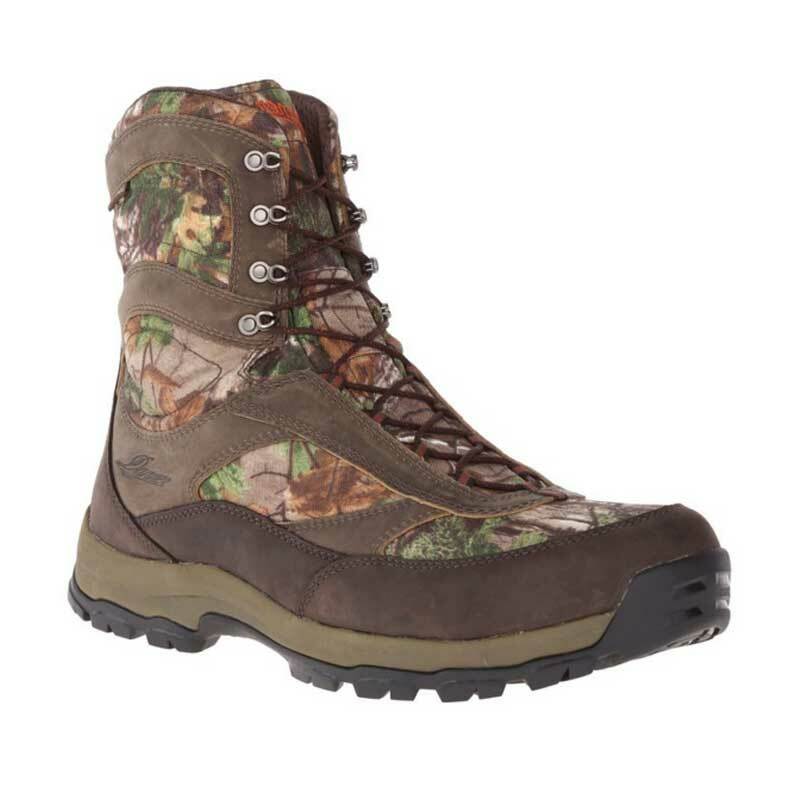 This men's boot was designed for agile performance; the hiking base has been modified for hunting applications. This boot fits light and comfortably, but has rugged features like an ultra-durable, oiled nubuck leather and 900 Denier nylon upper. The classic Realtree Xtra print is designed with three distinct layers of color and pattern, perfect for hunting as well. The High Ground is 100% waterproof AND breathable, thanks to the GORE-TEX lining. Long days will feel comfortable thanks to the cushioned footbed and EVA midsole. Each step will be a sure on thanks to the Danner Talon dirt- and rock-gripping outsole. For hunters and high ground scramblers, you've found your match with the Danner High Ground 8" Realtree Xtra.